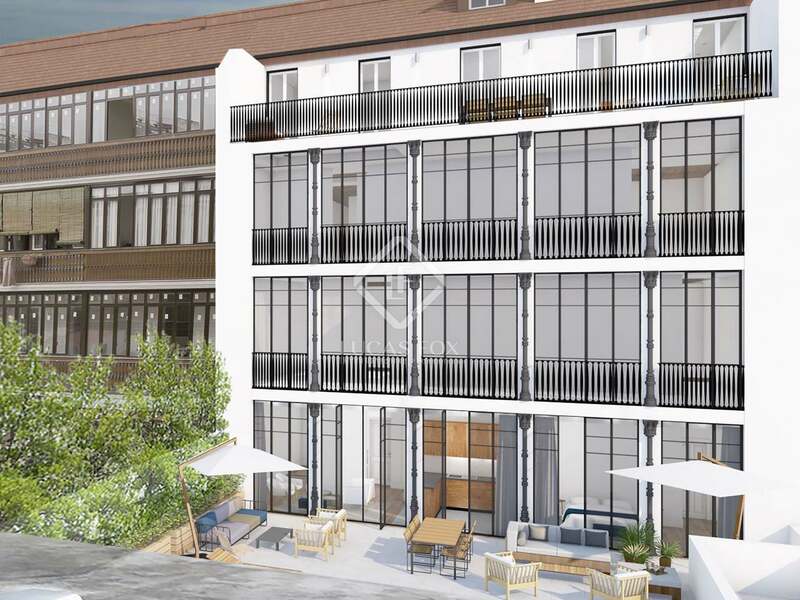 12 homes with modern interiors in a fully renovated classic building with a beautiful façade and a patio garden. 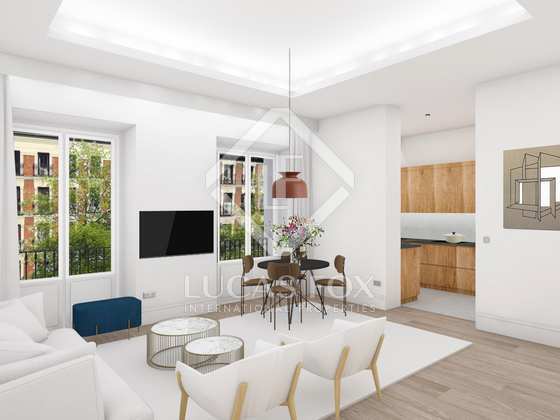 A new development of 12 modern apartments with 2-3 bedrooms for sale at the heart of Madrid, next to Retiro Park. 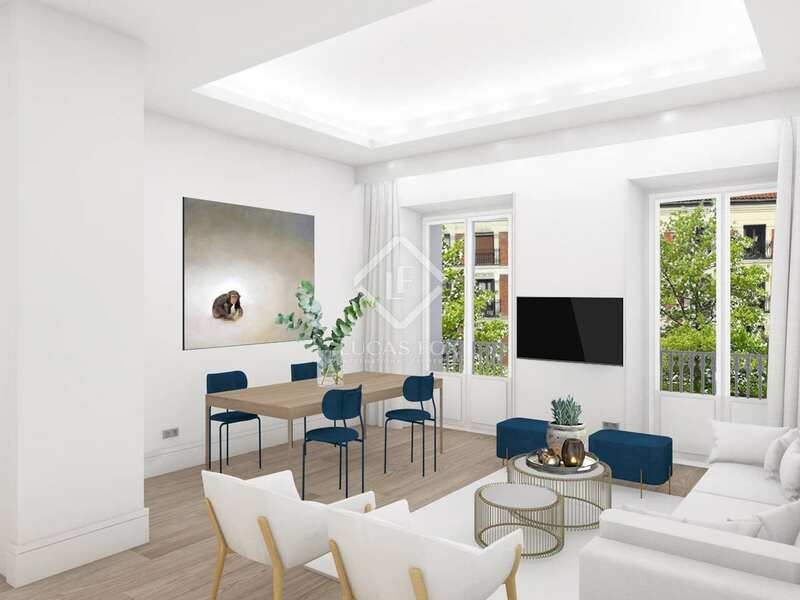 This magnificent new development offers 12 homes in a classic building that has been completely renovated in the heart of Madrid, a few minutes' walk from the emblematic Retiro Park. 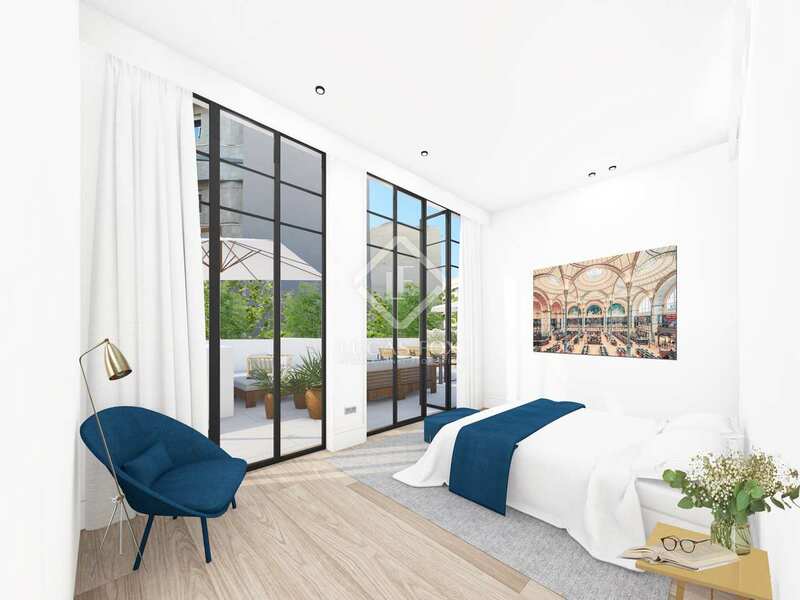 The building has been completely renovated, keeping attractive original features such as the classic façade, which distinguishes it as one of the most special buildings in the neighbourhoods of Ibiza and Salamanca. The interiors have also maintained some of these stately period features and at the same time combine them with a modern design with excellent finishes. The properties range in size from 111 m² to 157 m². They offer large bright rooms with a semi-open kitchen and 2-3 bedrooms with private bathrooms. 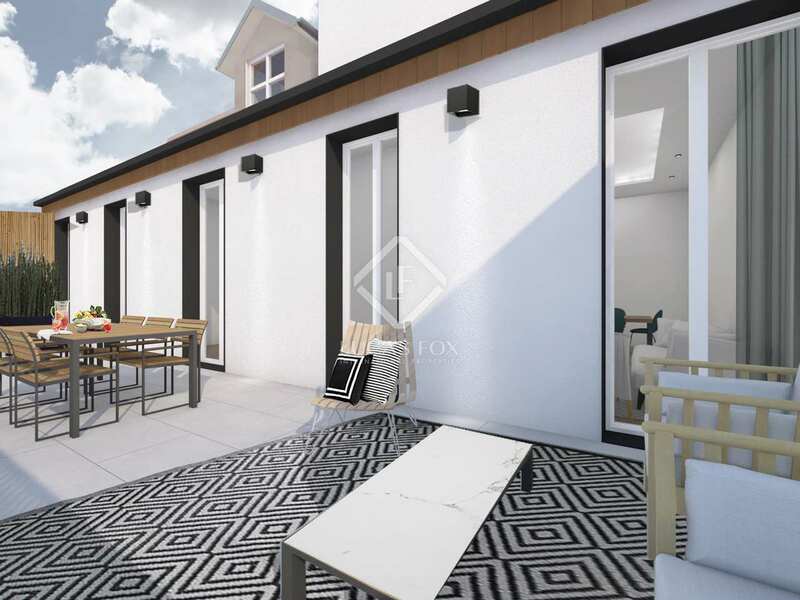 Two of them also have large terraces of 90 m² and 40 m², which are accessed from the living room. In addition, all homes have a storage room. 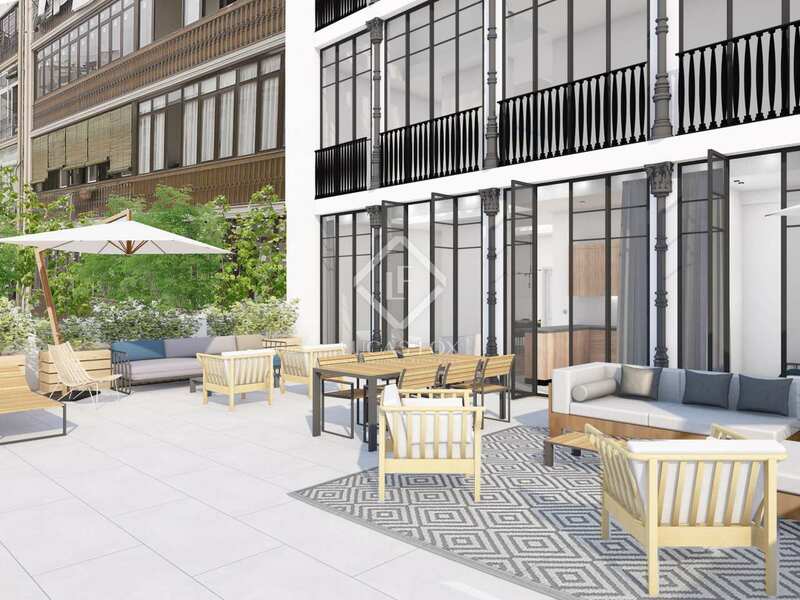 Another unique feature of this development is that the building has a large patio garden. 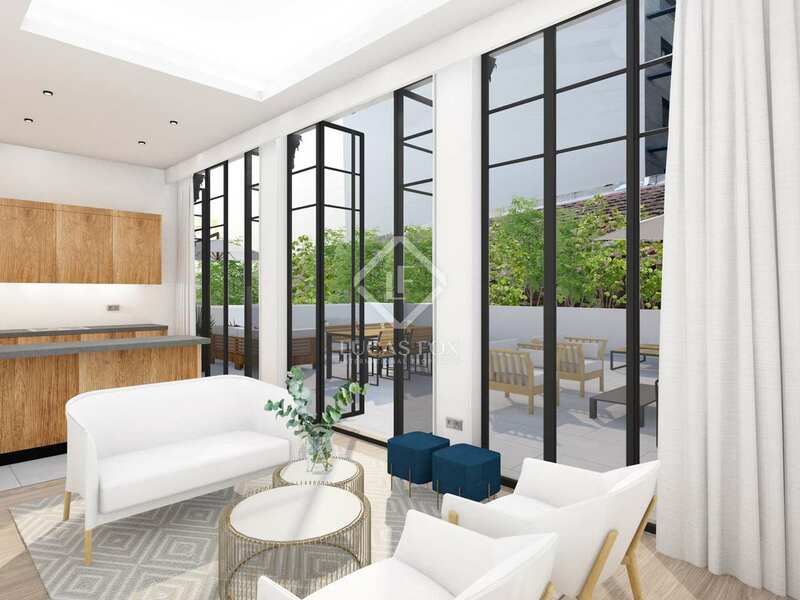 Some of the apartments have views of the patio through large windows, creating the feeling of being in an oasis in the centre of Madrid. An exceptional opportunity for those looking for an exclusive home in the heart of the city. 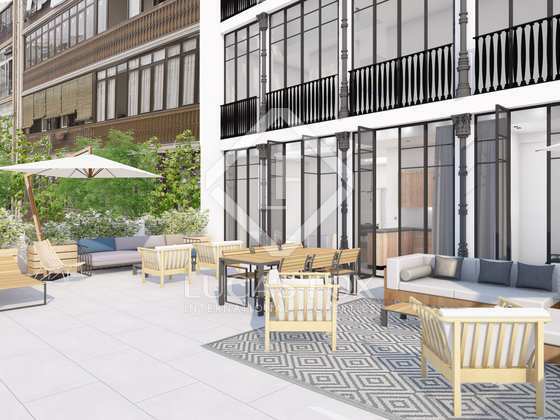 This development is in an unbeatable location, on one of the most emblematic and exclusive streets of Madrid, near the Retiro Park, where you can go for a walk or practice sports. It is also close to shopping and leisure areas, as well as many excellent restaurants.